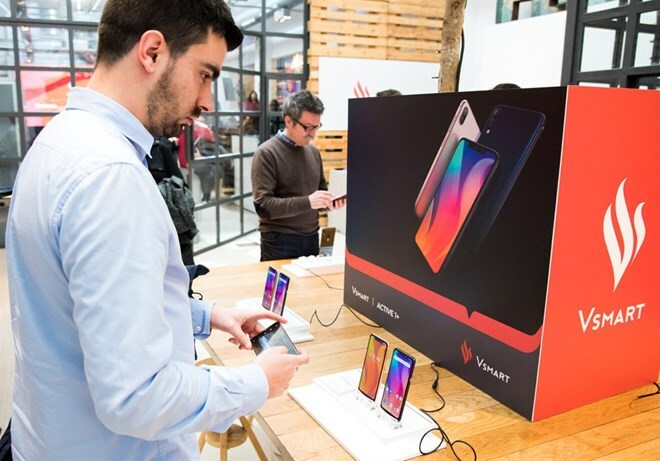 Hanoi (VNS/VNA) - VinSmart Company, a subsidiary of Vingroup, announced on March 20 that its Vsmart smartphones would be distributed in Spain by Media Markt. “Spain is an extremely important market for Vsmart, the first foreign market Vsmart set foot on, through a combination with BQ - Spain’s leading technology company that Vsmart currently owns 51 percent of the shares. Spain will also be Vsmart’s gateway to conquer the European market,” said Nguyen Thi Bich Phuong, Deputy General Director of Marketing, Vsmart Company, at the launching ceremony in Spain. The four models of Vsmart smartphones to be distributed in Spain are Joy1, Joy1 , Active1 and Active1. Of which, Active 1 and Joy 1 will be introduced in the first stage, followed by Active 1 and Joy 1. VinSmart is a member company of Vingroup - one of Asia’s largest multidisciplinary private economic groups with a market capitalisation of nearly 16 billion VND.